Chennai: DMK, its allies and friendly parties on Monday staged a human chain protest across Tamil Nadu, urging the Centre to set up Cauvery Management Board (CMB) immediately. In Puducherry, Chief Minister V Narayanasamy whose party Congress is an ally of the DMK, led the human chain stir. DMK working president MK Stalin led a human chain at Pudukottai in the delta region and later tweeted that the stir was a "huge success." After such a protest, which was reflective of the people's feelings on the Cauvery issue, "the Centre should stop playing with the emotions of the Tamil Nadu people," he said, apparently seeking setting up of the CMB. 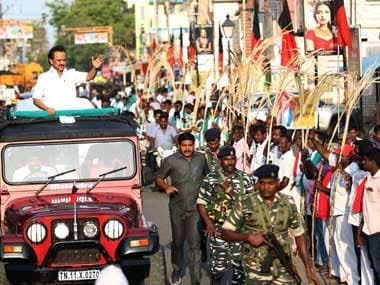 Stalin, who is the leader of Opposition in the Assembly, went around Pudukottai in an open jeep and greeted the participants of the human chain formation. Earlier in the day, the DMK leader had accused the Centre of not forming the CMB despite a Supreme Court order and for being 'obstinate' on the Cauvery issue. He hit out at the ruling AIADMK for allegedly siding with the Centre on the issue like a "double-barrelled gun." 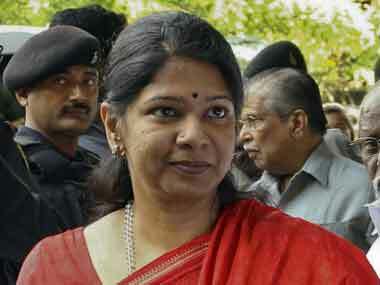 DMK Rajya Sabha MP Kanimozhi. 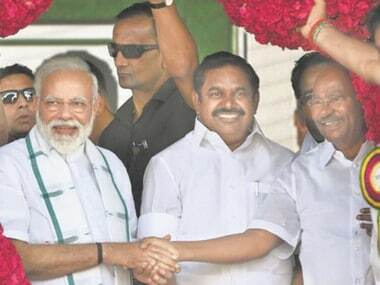 who led the human chain on the arterial Anna Salai in Chennai alleged that the Tamil people have become pawns in the hands of the BJP-led Centre for the 12 May Karnataka Assembly election. 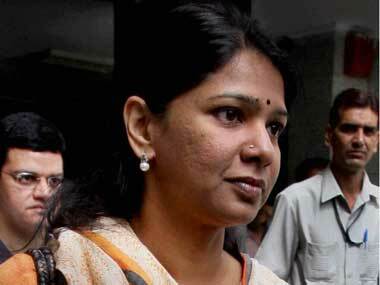 "Non-formation of the CMB by the Centre goes against both the Tamil Nadu people and the Supreme Court verdict," she said. In Krishnagiri, Viduthalai Chiruthaigal Katchi chief Thol Thirumavalavan led the human chain. At Thanjavur, MDMK chief Vaiko and former Union Minister TR Baalu participated in the human chain formation. Vaiko told reporters that people and parties getting together and standing as one man on the Cauvery issue reminded one of the popular anti-Hindi agitations of 1960's. He said more youth were joining the stir over the Cauvery issue and added that this "ember" cannot be stopped. After holding a series of protests on the Cauvery issue, including a Cauvery Rights Retrieval Rally between 7 and 12 April, the DMK-led Opposition parties had announced the human chain stir. The Congress, IUML and MMK allies of the DMK and friendly parties CPM, CPI, VCK and MDMK participated in the human chain stir. 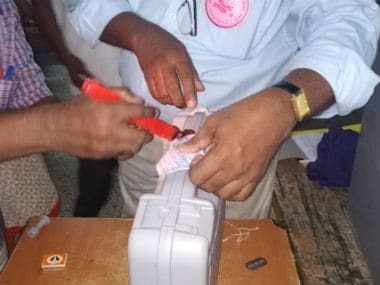 DMK's parent outfit and its ideological fountain Dravidar Kazhagam, which does not take part in electoral politics, also took part in the stir.